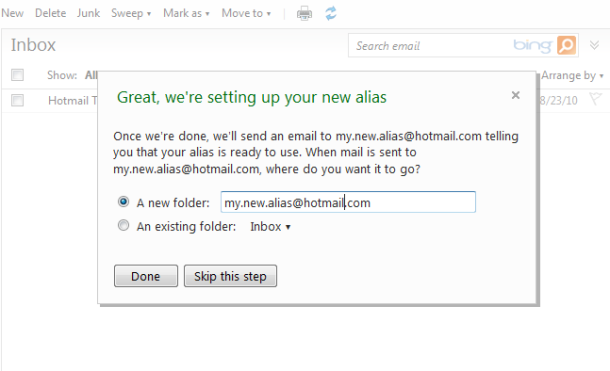 The Windows Live Hotmail team has released a new feature to make life for people using ‘throwaway email accounts’ easier. With this feature it is possible to add up to 15 aliases (5 per year) to an existing account: mail received through these aliases will arrive in your central inbox. The email received through that alias will be put in a separate folder. Another reason for this new feature is the protection of one’s online identity: you might not want to use your personal name-as-email-address with certain online shops, forums or other signup places. This way you can make sure you separate your streams of email in one central account. 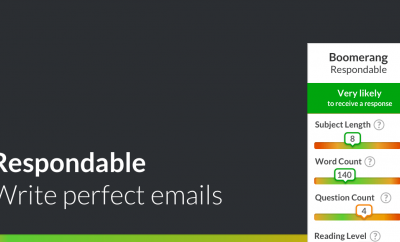 With the new aliases I can see a disadvantage too: signing up for so many different things the total amount of email you receive might grow alarmingly, which could mean less time spent per email reading and responding to it. 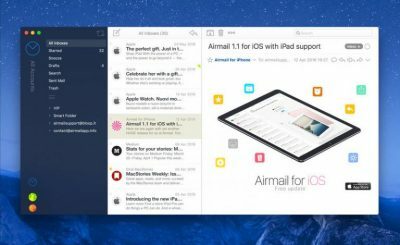 About four months ago I already posted about crowded inboxes and how to avoid them: getting a bunch of aliases set up for receiving more email on different email addresses could result in the opposite of a manageable inbox. For email marketers this can pose a two-fold challenge as well: how to keep up with all those new email addresses in a correct manner, and how to make sure the time a subscriber spends on email is hopefully spent as much as possible on your carefully crafted email. Some tips for the last part are to focus on value and privacy: if a potential subscriber trusts you with their ‘main’ email address and will think it worth it to receive your email messages on that ‘main’ email address, you’re already halfway there.